Barrel: 8.5" 4150V Chrome Moly vanadium steel barrel chambered in 300AAC Blackout with a 1 in 8" twist. 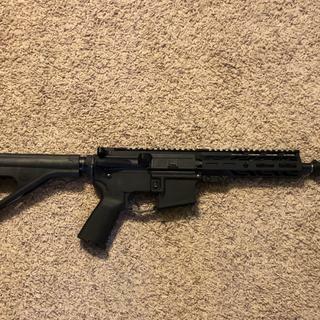 Pistol-length gas barrel is finished off with a PSA 7" LIghtweight M-Lok Rail, a low profile gas block and an A2 Flash hider. Pistol Build Kit: A high quality lower build kit with everything you need to assemble your AR-15 lower into a pistol. Features polished hammer and trigger contact points, and black oxide coated hammer and trigger springs. Also includes SB Tactical SOB Pistol Brace, double-looped pistol latch plate, carbine buffer spring, and standard carbine buffer. BEST ANSWER: It is just a standard mil-spec trigger. 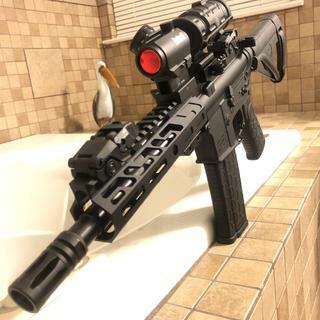 Is there any way to get this kit with a 10.5" barrel? Can you get this in dessert tan? BEST ANSWER: They do not make this brace is FDE. So only the grip would be tan. Just pick one up from your local gun shop. Which lower receiver is compatible with this? 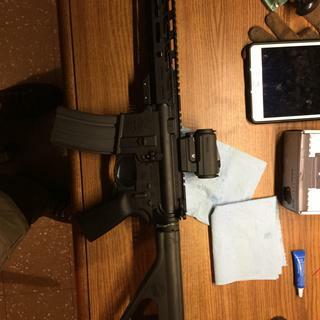 Can you mount magpul mbus back-up sights on this or will there be heat issues in the upper receiver end? BEST ANSWER: You can. MBUIS are very heat resistant. Is the flash hider removable? Looking to mount a supressor. BEST ANSWER: Yes, why would it not be? The brace on mine is too high to cycle the charging handle without hitting the brace, lifting the handle over the lip and dragging it along the top of the brace. Is anyone else having this issue? Will it ship to California? I would buy another one in a heartbeat. I will admit I was hesitant at first. With the price of the kit I thought quality may be an issue. But I'll be a monkey's uncle this kit is good quality and shoots dang nice! I've been eyeing up another kit for a second pistol I liked it so much. kit is good, shoots fine (for the money), but was missing selector and detent. I had to rob another parts kit. Would be 5 stars otherwise. Great set up & price. Can’t wait to get optics on it & really see it run. Arrived with all parts and great fit and finish. All parts went together in my stripped lower with no issues. So far, I have only fired about 10 rounds out of the gun just for a function check, but had no issues. I have already recommended your products to my friends and they are now considering them. 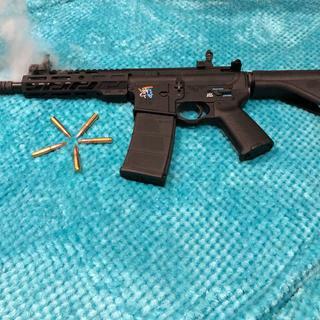 Great little shooting firearm for the price, can't wait to find some hogs. It shoots great, I would like a folding arm brace but that's a different story, I wanted to give it a 4 star but for the price I changed it to a 5. The reason for the 4 star the charging handle scraps and has cut a groove on the top, besides that awesome little gun. Very easy to put together. Great YouTube videos on how to put it together, don't be worried, this was my first build and will do it again but in 5.56. 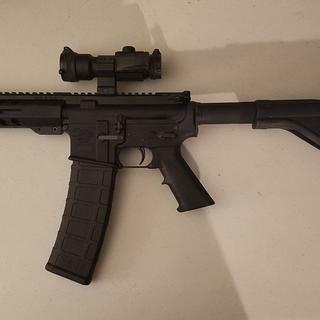 Total build cost less than $400 with two mags and a red dot. Can't complain about that, cheaper than a glock and has a tighter group. Also it's sounds about the same as a 16" barrel, some people complained about how loud they are on YouTube, my 22 revolver is louder. This has a nice deep sound to it like a Mustang and it will fit in the trunk of any sports car or behind your truck seat in a single cab. If you're worried about the wife this is an inexpensive way to go, show her the competition price and the price of this one. $1200 - $800 vs $400, the price is right to build you're own. Good luck, be safe and have fun shooting. Size comp to a glock 23, I did go with a different lower only because Palmetto was out at time. Haven't had a chance to test fire it yet, but the hole for the gas tube, in gas block, was drilled at an angle, and when I charged the weapon, the bolt carrier key struck and destroyed the gas tube. Rather than complain and return the upper receiver I took it to a local gunsmith and he intalled a new gas tube and adjusted the angle so that it would cycle without getting destroyed again. suggest maybe try to keep a little closer eye on quality control, but know this kind of thing can happen anywhere. All other PSA firearms I have purchased function well. I really like that it came with a MPI M16 style bolt carrier and everything but the lower to complete the build. I only have about 150 rounds through it but so far so good. Badazz little gun. Lightweight and fun to shoot. Nice little 300. I like subdued but thought what more fitting for a snowflake lower than a shorter higher caliber rifle with a little color. 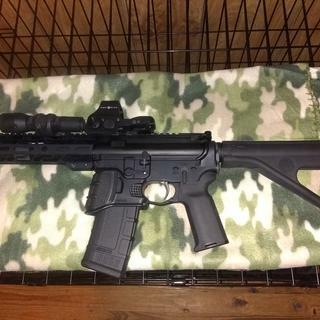 Love the 300. magpul sling, grip, mbus, Strike everything. Muzzle brake is now strike also. Streamlight and the Sightmark pro with laser. Was thinking battleworn but that look is already getting played out. Glad I kept it black. I've used Palmetto uppers for quite a few builds and all have been flawless with consistent accuracy. I do have some higher priced builds but they all shoot the same. Best value for your money easily. Will be building a few more. Spikes snowflake lower, Strike Industries catalog thrown at it pretty much. 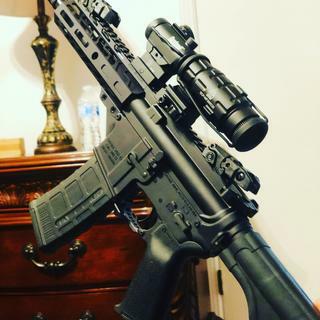 Streamlight, magpul ect. Great pistol combo. Every thing you need but the lower and sites. 10 minute build time. Solid kit. Upper assembly passed my inspection. BCG was all properly staked and go and no-go guage checks showed no issues. 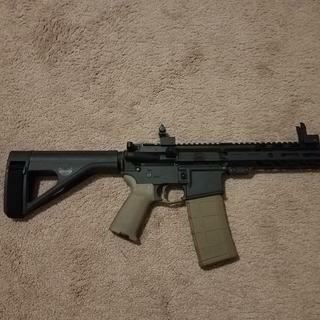 Built it on a PSA stripped lower. Added MBUS sights and a red dot. Only one failed to eject in first 100 rds. Great kit at a great price. 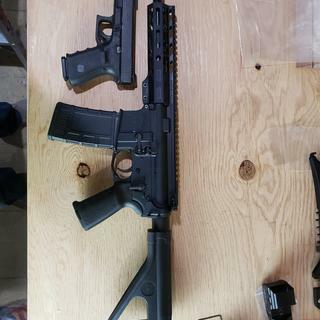 Awesome 8.5 300 blackout pistol kit. 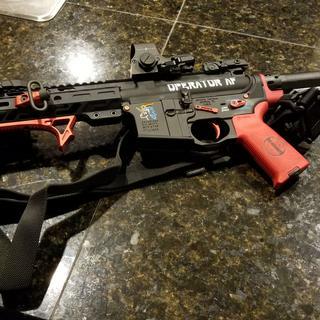 This PSA 8.5 300 blackout pistol kit is awesome, all you gotta do is add your favorite goodies and you’re done. Glad I bought this kit. I really enjoy this kit. I've been wanting a 300 blk pistol build for a while and finally bought the kit. Extremely happy with it. Very good quality as always from PSA. Would buy again. Amazing kit. Would buy again. Perfect starter kit for a person trying to get into building ar pistols. It was everything I could have asked for for that price and I'm super happy with it. I changed out the grip and the trigger guard but the rest came from this kit.